Our goal is to provide experiential learning opportunities and cultural expansion for pharmacy or pre-pharmacy students while those in our partner communities benefit from a physical exam and treatment from a licensed medical professional. In addition to providing pharmacy services, ISL’s pharmacy teams provide a variety of general medicine and public health services in developing communities. From urban centers to small towns and villages in remote areas, our teams work in various settings to provide field clinics in which patient needs are assessed, acute conditions are treated, and medications are prescribed. Regardless of background, volunteers are able to receive an invaluable opportunity to not only observe doctors and pharmacists in action, but to actively assist with important aspects of health care and pharmacy under careful supervision. 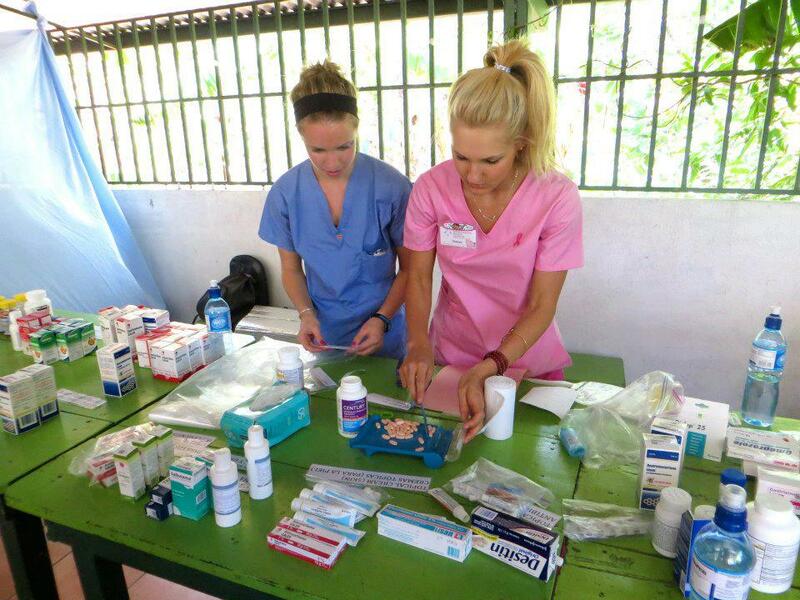 Because we include pharmacy stations in all of our field clinics, ISL global health teams are also a good fit for pharmacy and pre-pharmacy students. ISL’s Pharmacy teams are ideal for pharmacists and pharmacy techs, and medical, pharmacy, and PA students. Pre-health and pre-pharmacy students welcome! Upon arrival in-country, you will be met at the airport by ISL staff. Your team’s first day will be busy with orientation and intensive training seminars on taking vitals, basic triage, learning medical terminology (Spanish or Swahili), and pharmacology; then the community work begins! In the evenings, you will participate in seminars on the procurement, processing, and applications of natural medicines, prevention and treatment of diseases common to the area and practice techniques such as suturing and administering injections. Pharmacy students are a valuable asset to any ISL health team including Hike for Humanity. ISL also provides references of drugs available in the host country, a list of abbreviations used on medication orders, and medications and supplies and devices used in dispensing medications.